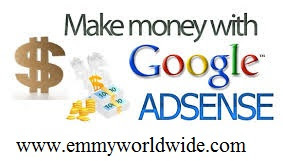 Google adsense is one of the best online earning ways with no limitation. Good writers can earn money online through google adsense program. It is difficult to get google adsense account for your blog or website but not impossible. I have made search on these topics on google and read more than 200 websites which explain the tips that can help for google adsense approvement. Google adsense is a source of earning Dollars on internet. 1. Content Type: You should be careful with what type of content you are publishing. Because it is something that truly matters. Google AdSense is not for pornographic, pirated content, illegal items, drugs or other blogs/Sites like that. AdSense team won’t be willing to allow you to step in if you own a Non English Blog. Having posts shorter than 200 words in length is also Red Signal. An About has major role and importance if you don’t want to apply for AdSense. But when it comes to AdSense, they are about zero chances of getting approved if you are not showing this page. About page simply describes about you and your Blog. This will not only help you establish a relationship with readers but it will also make them trust upon you. Check my About Page to get some idea. 3. Contact Us Page: It’s quite obvious that everyone has his/her own opinion. One major thing your readers likes is to know more about the person or people that own the blog/site they visit. It is better to give them opportunity to speak up to you and tell how they feel about your Blog, what they want to be edited, what they liked or hated. Create a contact us page, if possible add your professional email there, your social profile links, etc. By creating this you are telling Google that see we care for our customers, visitors and we are ready to help them. They can contact us any time. It will also show the Google AdSense Team that is viewing your site that you actually care about your readers and not only the money and AdSense. Check my contact page to get some idea. 5. Minimum Number of Posts: You may ask, what should be the minimum number of posts before applying for Google AdSense? There is no confirmed answer for it. Not even one. Reason: I have seen very established Blogs with 400+ posts and their owner telling me that Google AdSense is rejecting them while somewhere bloggers with 40, 50 posts are enjoying making money through adsense. Tip: You should only apply after you have more than 50 posts and your Posts length must be 500+ words too with quality content. 6. Name/ Email Verification: When you apply don’t forget to put your Name and Email address in some easily visible area like About Me and Contact Us pages. It will confirm to Google AdSense Team that it is the same person who applied for AdSense and not some spam, crappy bots. This will help the Google in the verification process. 7. Age Verification: Use your correct date of birth and age while applying for Google AdSense account. This is the mistake that most younger blogger are making who are less than 18. They write incorrect age and get into trouble. Because Google AdSense is not for people who are under 18. Some people realize this problem after being disproved a few times without any legitimate reason. So I advise you to be accurate while typing your age. Be honest. 8. Paid Traffic: Google hates the sites that are getting paid traffic and mostly penalizes them so there is not a damn chance of getting approved by AdSense for a site that is getting paid traffic. You can bring traffic from Search Engines or any other way you want but if you want to earn via Google AdSense the right way, paid traffic is not a solution. Also note, that Google do not accept site which gets traffic from illegal sources. So focus on getting traffic from legal sources like social media, SEO and related blogs. 9. Providing Value: Google loves the blog who are providing value in their content and their visitors and customers are enjoying that value. Be sincere with your visitors don’t ever try to scam them instead provide value. Don’t complain about not making money and don’t clearly state that you’re blogging for money only and have no other interest in it. Because this will show them that you will not be providing values to your readers any day. 10. Top Level Domain: Those days are gone far away when AdSense used to approve “Blogspot” and “WordPress.com” Blogs. As for today, you must have your own unique domain that specifies your Blog. If you don’t have one yet, stop dreaming about getting approved with Sub domains and go buy a Top Level Domain. When it comes to domain, your domain should be of top level. For this purpose the best domain is .com domain. Choose a short, unique and easy to remember domain related to your blog niche. Another important thing about domain is it’s age. Because most of Asian Countries, AdSense has placed an age restriction. They don’t accept any sites which are not 6 months old. So keep it in mind before applying for Google AdSense program. 11. Design: Blog design matters a lot. It should be professional and SEO friendly because Clean, professional and smart design is appreciated by Google. Your blog design is the biggest thing after Content. This represents your expertise, experience and professionalism. 12. Other Ad Networks: If you have any other Ads placed like Adquet, Media.net or anything, it’s time to drop them off. Even Google AdSense allows you to use other Ad Networks along with them, it’s better to remove the ads before Applying and don’t put them back until you get a reply from AdSense Team.